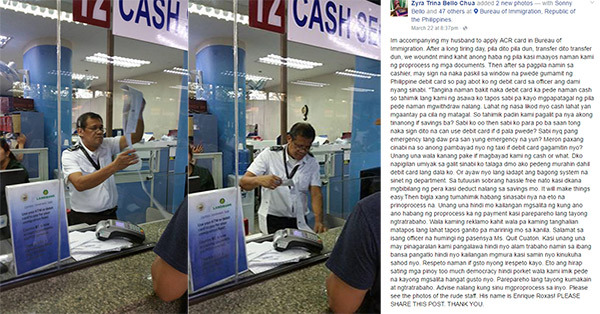 An overseas Filipino worker ranted about her encounter with a rude Bureau of Immigration officer who cursed her during an ACR card application. Zyra Trina Bello Chua, a Tram commentator/Safari adventure guide in Singapore, narrated her unfortunate experience on Facebook. 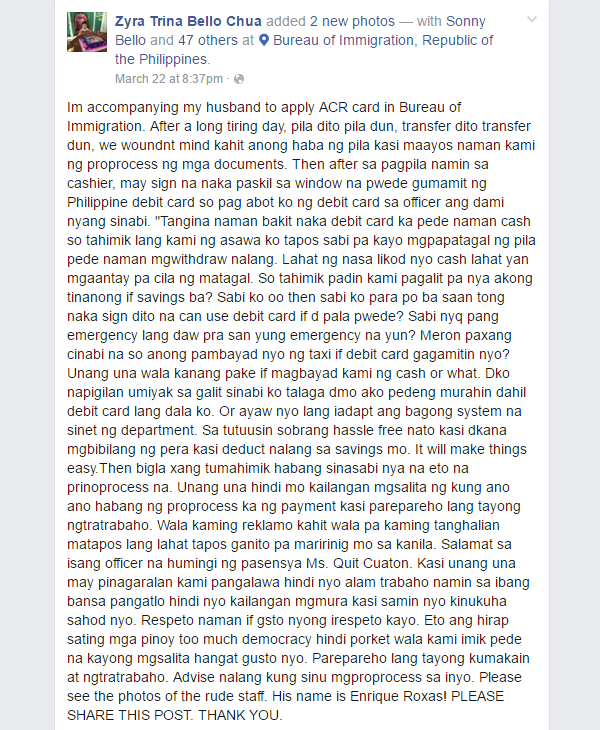 Chua said she was accompanying her husband in the processing of documents for his ACR (Alien Certificate of Registration) identity card on March 22 when the incident happened. 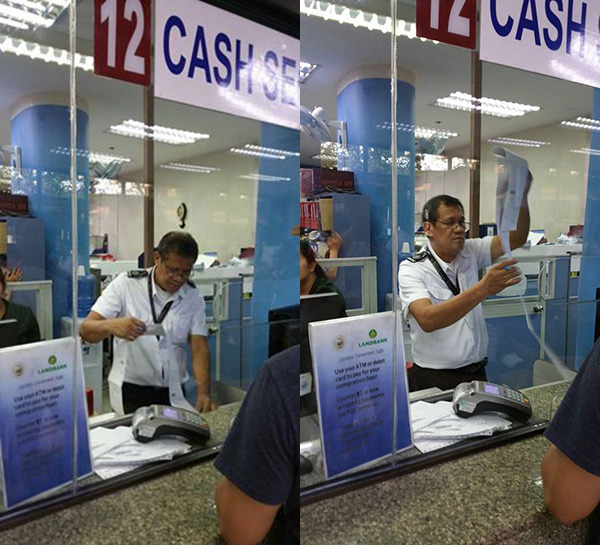 While waiting for their turn at the cashier's section, she noticed a sign that says Philippine debit cards can be used for payments. According to her, a certain Enrique Roxas got angry and uttered cuss words when she handed over her debit card. The BI officer apparently complained that she could have withdrawn money and pay in cash as processing of payment via debit card would take time and make the line of applicants longer. Chua said she wasn't able to hold back her tears. She didn't expect to be treated that way by a BI staff after struggling with long lines, transferring from one section to another, and being unable to eat lunch just to complete their transaction. She said Roxas should respect clients, particularly OFWs, as they are the ones paying for their salaries through revenues and taxes. Her friends on Facebook and some sympathetic netizens advised her to file a formal complaint against the rude BI officer.